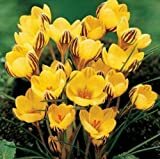 Autumn crocus growing corm of the genus Colchicum also known as Meadow saffron or Colchicum autumnale, Autumn crocus is perennial deciduous plant used as ornamental plants, it grows in temperate climate and growing in hardiness zone 4-10. 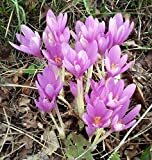 Colchicum autumnale AUTUMN CROCUS Seeds! 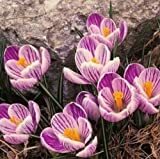 How to make Vegetative Reproduction in Autumn crocus? 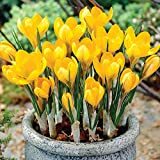 What is the treatment for vegetative reproduction in Autumn crocus?